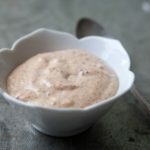 Remoulade Sauce: Remoulade (reh-moo-lahd) sauce may be a classic French sauce, but it is the Louisiana version with which most of us are familiar. A remoulade sauce is based on either oil or mayonnaise, and most Louisiana remoulades also have mustard, garlic, paprika and Cajun seasonings. If you do any traveling around Louisiana you’ll find that it seems like almost everyone has their own “secret recipe” for this sauce. It’s served most often with shrimp and crab cakes, po boy sandwiches and even chicken. It’s also awesome as a substitute for ketchup with french fries. If you don’t have any pickle juice on hand, use a little lemon juice or vinegar. 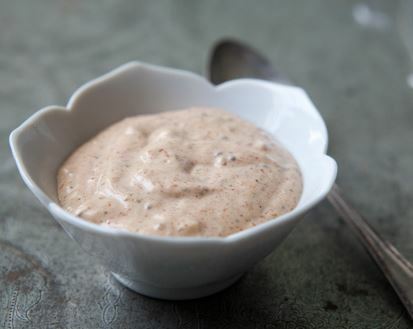 The remoulade is better if left for a few hours to let the flavors meld. Keep refrigerated.